In February 2017, SnappConner was tapped to lead the PR efforts of Feed a Billion (FeedaBillion.org, or FAB), a 501(c)3 organization launched in 2016 by Dr. Ambuj (AJ) Jain. With the help of program CEO, Jason Sisneros, the organization was formally launched in March of 2017 in a PR effort that has included print and broadcast coverage with stories in Silicon Slopes, Inc., Huffington Post, Entrepreneur, Bold.Global and Forbes. 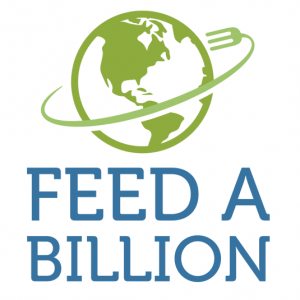 Beyond the philanthropic mission of providing one billion meals to the world’s hungry by November of 2020, the FAB organization and partners are using principles of business, social media and partnership leverage to create a new model for philanthropy. The FAB story carries a strong social media component, as well. Through a partnership with social giving platform xocial, FAB is using social media and gamification to expand the effectiveness of corporate giving via social influencers, who can help companies advance their marketing outcomes and can allow influencers and community members to participate in ways outside of monetary contribution by liking and sharing FAB news. FAB CEO, Jason Sisneros, noted, during his selection of SnappConner as the organization’s agency of record, that he was advised by “at least 10 sources” that we were the agency to choose for an initiative that would need to achieve a vast global reach. As of March 2017, with the help of various global partners and sponsors including Tony Robbins, the organization has provided 1.3 million meals so far.